In previous post, you can see how easy it was to add a basic HTTP Web Service to a Web site in the beta of the .NET Framework 4.5 through code: Just add a shared/static method called Configure to your service and put some code in it to configure the ServiceConfiguration object passed to the method. In fact, because of the defaults that WCF 4.5 takes for a WCF service in a Web Site you don’t really need to add any code at all. In my example I did add some code to explicitly enable my service as a basic HTTP Web Service. I also chose to configure the service to return a contract and verbose error messages (both of which are turned off by default) to support testing. But the power of WCF is in providing multiple ways of accessing the same code–as a basic Web Service or as a high performance TCP-based service. Adding TCP access requires a change in the project type: Testing a TCP-based service from Visual Studio is awkward (at best). Instead, you’ll want to create a WCF Service library where you service is hosted by WAS rather than IIS. While that makes testing your TCP access is simplified, the defaults don’t give you a service automatically and you’ll need to use a few more lines of code. After creating your WCF Service library project add a new WCF Service to it, giving the service some meaningful name (I used “CustomerService”). Then, to demonstrate the power of configuring by code, go to your app.config file and delete the entire system.model element. You’re now ready to control your service from code. There is an annoyance when you go to test your service: In a Service Library, in the absence of any entries in the config file, the test client can’t retrieve the information about the service. You’ll first get a dialog that the “WCF Service Host cannot find any service metadata”–just click the No button to continue. When the Test Client appears, it won’t display any services. You’ll need to go to the Test Client’s File menu and select Add Service to display the Add Service dialog box. In the box, enter the URL you used to set the HttpGetUrl property followed by “?wsdl” (e.g. “http://localhost:1868/Customers?wsdl”—and make sure you type the URL exactly the way it appears in your code). When you click the OK button, the Test Client will finally grab the service information and you’ll be able to test your service. The good news here is that, once you enter the URL with ?wsdl successfully, you won’t have to enter it again (you will still need to go through all the dialogs, though). And there you go: With less than a dozen lines of code you’ve configured a service as both a basic HTTP service and TCP-based service. Adding additional access methods (e.g. named pipes, advanced web services, https) should just consist of enabling the protocol with the EnableProtocol method and adding a compatible endpoint. The type 'YourType, YourAssembly', provided as the Service attribute value in the ServiceHost directive could not be found. At first the message seemed to be very specific about not being able to find the type - almost as though it had found the assembly so I changed the YourAssembly to utter nonsense to see if the error changed. Alas no, so it was possible that the assembly couldn't be 'found', let alone the type. Everything seemed to be in order as far as the assembly was concerned. He was in the bin folder and security was setup appropriately. The type, namespace and assembly were quadruple checked and definitely correct. We even hooked up WinDbg and used the sxe ld YourAssembly command in the hope that we'd see the module attempt to load and fail. But nothing. Could not load file or assembly 'SomeOtherAssembly' or one of its dependencies. The system cannot find the file specified. Aha! So we could find the type specified in the Service attribute but we couldn't find some of its dependences. That's better - turns out I was missing an assembly that had to be GAC'd for this to work. With the release of Silverlight 5 just around the corner, I thought I would start a series on the new PivotViewer and how to get up and running with it. We will start the series off by exploring how to create a client side collection. One of the most anticipated features of the new PivotViewer is the ability to create client-side collections. PivotViewer accomplishes this by utilizing the traditional ItemsSource property for data and a form of XAML data templates to define the trading card. It is interesting to note that the fundamental core of PivotViewer is still using the DeepZoom technology. If you are thinking that DeepZoom only handles images and not XAML, you would be correct. Under the hood, PivotViewer is rendering the data templates to images and then adding those images to DeepZoom. Remembering that little tidbit will help later down the road. First things first, let’s get a PivotViewer control into our application. One of the great changes in the PivotViewer is that instead of 4 libraries we are down to one. So to include the PivotViewer in your application, you simple need to add a reference to System.Windows.Controls.Pivot. Doesn’t get much simpler than that, now does it? In order to focus in our demo, we are going to generate some dummy data on the client. Of course, you are most likely going to be pulling in more meaningful data (let’s hope anyway) and you can still do that in the traditional ways. As you can see there isn’t a whole lot going on here. The BuildData() method knocks out some data that will let us see PivotViewer in action. 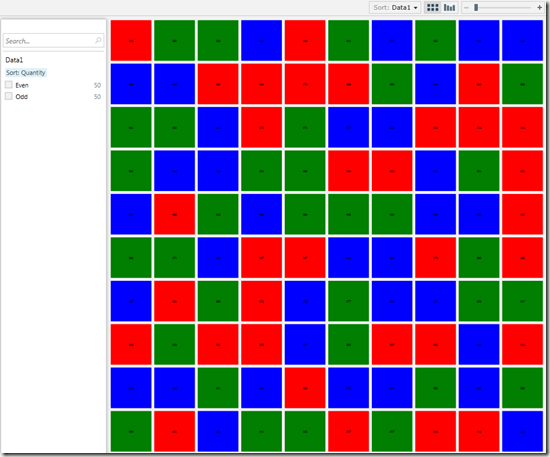 I used a string for the color property so it would map to a PivotViewer property cleanly. Now that we can generate our data, how do we get it into PivotViewer? It’s as simple as using the ItemsSource property (yep just like a normal Silverlight control). PivotViewer has a PivotProperties property (try saying that 3 times fast) that you can set via code or in XAML. For completeness sake, let’s take a look how each would look. Both of these examples yield the same result. Now we have our data and have mapped the data to the a collection of PivotProperties, what’s next? The last set it to define what the trading card is going to look like. For this post we are going to look at a basic solution which we will expand upon in the next post. HostForLIFE.eu was established to cater to an under served market in the hosting industry; web hosting for customers who want excellent service. HostForLIFE.eu – a cheap, constant uptime, excellent customer service, quality, and also reliable hosting provider in advanced Windows and ASP.NET technology. We proudly announces the availability of the SQL 2012 hosting in our entire servers environment. HostForLife customer can choose SQL 2012 when creating a database from inside HostForLife hosting control panel. The first new option is Windows SQL Server 2012, which is available to customers from today. With the public release just last week of Microsoft’s latest version of their premier database product, HostForLife has been quick to respond with updated their shared server configurations. SQL Server 2012 Web Edition is available for the same low monthly rental price as the previous SQL 2008, as well as Express Edition, which is a basic version of Microsoft’s SQL Database product, available for free. “We’re proud to be at the cutting edge for new technologies. With these additions, customers have the option to explore these new products in the safe environment of their own shared server. Developers and IT Managers can research the potential impact of next-generation software without risking current infrastructure. With Microsoft’s announcement of the general availability of their new SQL server, we are proud to launch SQL 2012 hosting along with a suite of SQL 2012 management tools." Said John Curtis, VP Marketing and Business Development at HostForLIFE.eu. John added, “It’s very important to our customers that we support their current deployments; we want to make sure that our customers have their good opportunity to test this new technology." “HostForLIFE customers can now take advantage of SQL Server 2012’s advanced BI capabilities, We’re excited to see the benefits of this release add value to the energy management and manufacturing arena. Ensuring compatibility with Microsoft’s new SQL Server 2012 demonstrates how HostForLife and Microsoft remain committed together to providing leading edge technology for the benefit of our shared customers." Said CEO of HostForLIFE.eu, Anthony Johnson. For more information about this new product, please visit http://www.hostforlife.eu/SQL-2012-European-Hosting.aspx. We are European Windows Hosting Provider which FOCUS in Windows Platform ONLY. We support Microsoft technology, such as the latest ASP.NET 4, ASP.NET MVC 3, SQL 2008/2008 R2, and much more. In this article we will learn about creating a Pivot Viewer control in Silverlight . Lets get started with a short description of what a PivotViewer Control is. For this example I have used the Silverlight 5 PivotViewer, since most of us would have Silverlight 5 right now . The Silverlight PivotViewer Control does not come by default with the Silverlight 4 toolkit. It has to be downloaded and installed separately . With Silverlight 5 one would get the PivotViewer by default . Hence forth I am using Silverlight 5 but similar steps needs to be followed for Silverlight 4. Let's start coding then . PivotViewer uses a special type of Collection called as Collection XML . We need to understand Collection XML in order to effectively work with PivotViewer . Collection XML (CXML) is the schema used to describe structured data to be displayed in the PivotViewer collection experience. Shown below is how the data is bound to the ItemSource property of the PivotViewer Control . Let's give it a run. The WCF 4.5 beta simplifies configuring WCF, provides better support for code-based configuration, and makes it easier to do code-based configuration in Web sites. Don’t get me wrong: I like the WCF configuration files but, I gather, I may be in a minority. Many developers prefer to configure their WCF services from code where possible. Unfortunately, one of the places where that isn’t possible is the most common place to host WCF services: in a Web application (well, I’m told it was possible but only in the sense that it’s possible to remove your own appendix). WCF 4.5 (at least, in the beta) provides a simple solution: Add a static/shared method called Configure to your service class and fill it with the code required to configure your service. WCF will call that Configure method at the appropriate moment and pass the method an instance of the ServiceHost class. In your Configure method, you can work with that ServiceHost to configure your service. You can configure these services by instantiating behavior classes, configuring them, and adding them to the ServiceConfiguration’s Description property’s Behaviors collection. That’s a good thing because, while my previous example was all the code you need (in fact one more line than you needed), it’s probably not all the code you want, for two reasons. But both of these changes highlight an issue with code-based configuration. In production, you probably don’t want your service freely giving up its contract to whoever asks for it. Instead you probably want to control access to your service’s contracts so that you have some idea who’s using your service and can contact those users when you’re making changes to your service. And you certainly don’t want to send out those verbose error messages from your production system. So, before moving your service to production you’re going to want to change the values used in this code. The problem is that, with the code I’ve used here, there’s no simple way to inspect the assembly you’re deploying to production to determine if the settings are correct: the code is compiled and is unreadable. One of the nice features of the config files is that you could inspect them (and even change them) with Notepad. The right answer is probably to move settings that will change from one installation to another (e.g. test and production) into your AppSettings where you’ll still have visibility to them. Please visit our site at http://www.hostforlife.eu if you need Silverlight 5 WCF RIA hosting. Starts from only €2.45/month.